The Monster 797 is that most rare of modern bike – a turn-key fun machine. It is simple, fun, handles well thanks to its light weight and is pleasingly devoid of modern electrical assists. Just get on and enjoy without the need to read the instruction manual! Tipping the scales at just 193kg wet, the Monster 797 is pleasingly light and agile. The suspension is quite firm, but it is designed to deliver a sporty ride and the Brembo brakes bite hard. Fairly obviously it lacks wind protection, but that’s to be expected! 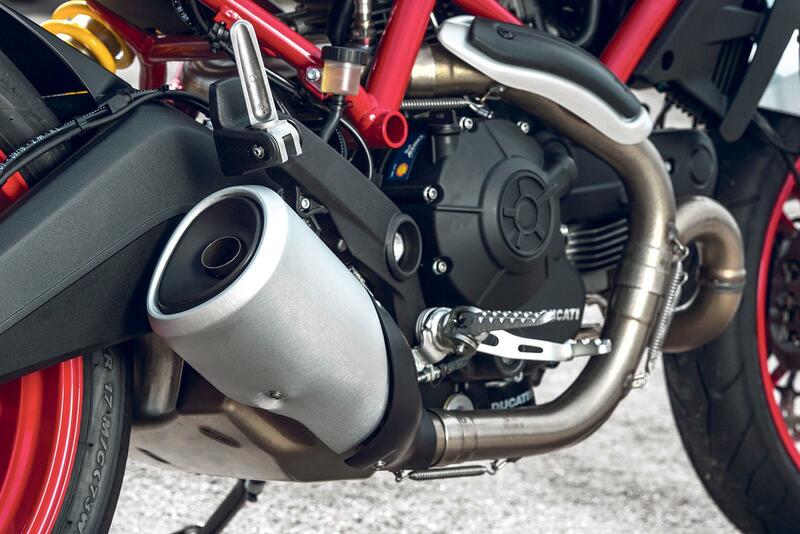 The air-cooled Desmodue V-twin is the same as the Scrambler’s motor and holds no surprises. It’s not the most powerful engine, but produces 80% of its peak torque by 3500rpm and this low and mid-range grunt makes it very easy to ride. It sounds and feels like a proper old-school Monster. The air-cooled engine is very reliable and has pleasingly long service intervals of 7500 miles, which helps keep running costs down, but the cam belts still need changing every 15,000 miles. The quality of finish appears high and Ducati tend not to skimp when it comes to small items such as fasteners. 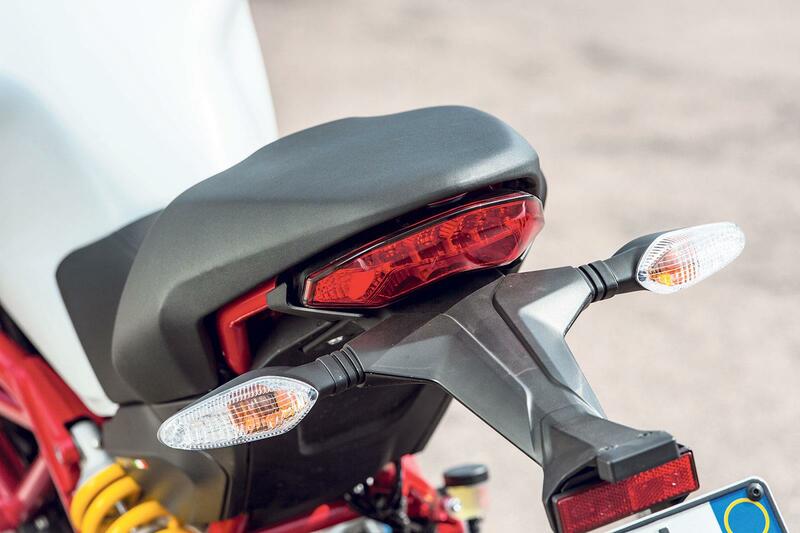 The Monster is at the higher end of the middleweight market, but that is to be expected from a model made in Bologna. The pleasing thing about the 797 is the fact it comes with quality items such as inverted forks and Brembo brakes, helping justify its price. The fact it costs £100 more to get it in anything other than red is, however, a bit disappointing. 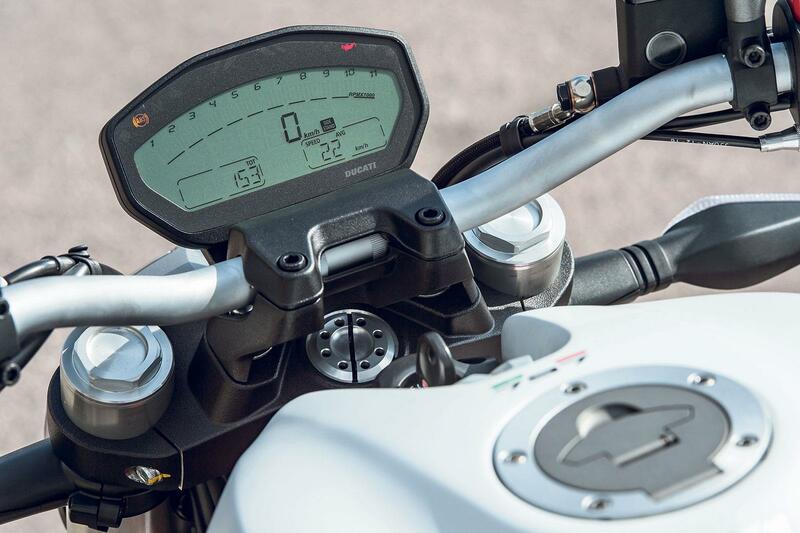 You don’t get traction control or power modes on the Monster 797, but ABS is standard and so are Brembo monoblock radial brake calipers and a USB port under the seat. 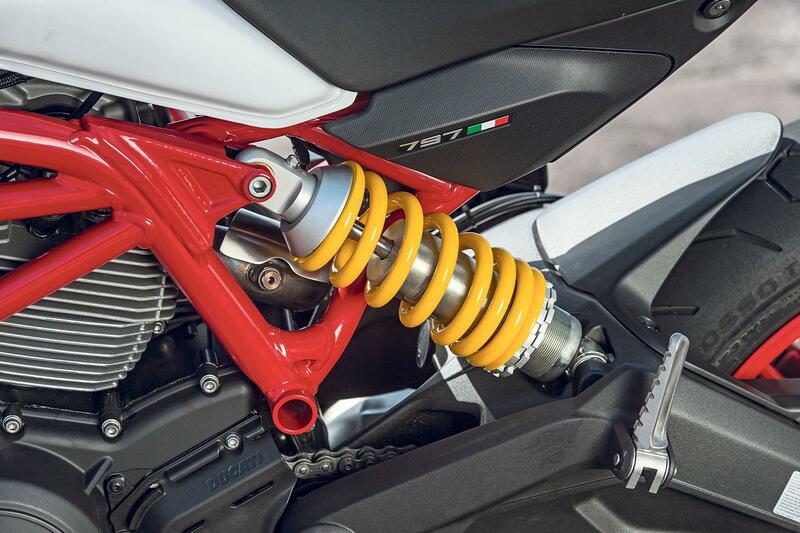 Ducati’s Multimedia System can be retro fitted but the inverted forks are non-adjustable and the shock only has spring preload and rebound damping adjustment. 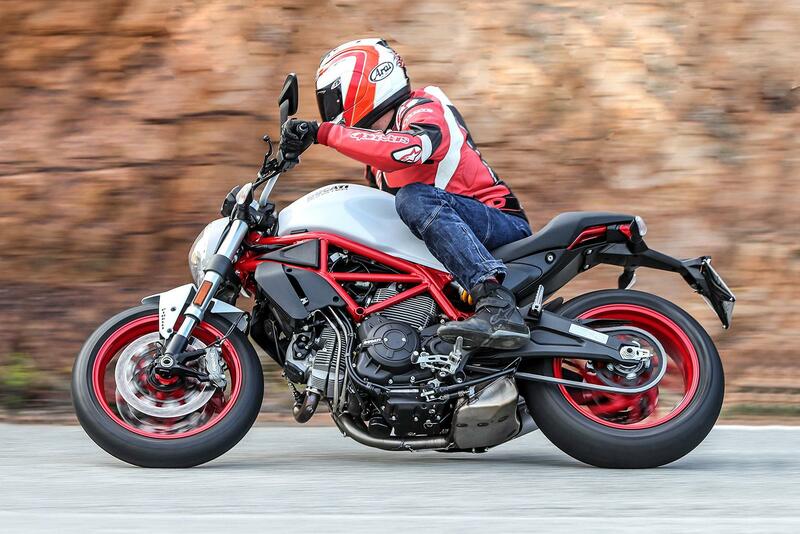 2 owners have reviewed their DUCATI MONSTER 797 (2017-on) and rated it in a number of areas. Read what they have to say and what they like and dislike about the bike below. Great first 'big boy bike' but oozing with the Italian spirit and style. Amazing brakes, sharp and punchy. Only complaint is the lacking in the toy department. Straight from Woods in Abergele, brilliant guys there. brakes are very good, ride quality is better than I expected. Very easy to ride and adaptable to a number of riding scenarios. I like an air cooled big twin that produces power and torque low in the rev range and this one produces. Exhaust is too muted, swapped the OEM exhaust for a Termignoni that provides great sound and power too. I bought it new so I expect it to be clean - but seems very well made, quality parts, well assembled and finished. Get the Termignoni exhaust if you can - it's not cheap, but really makes the bike sound great and provides a bit of power in the included remap. My dealer was great to work with.